Renting a private villa like the incredible Villa Carola by Karisma Resorts for your destination wedding celebration has several perks, but perhaps one of the best aspects of renting a villa for your stay is that you can host private events outside of your wedding -- like a fabulous Welcome Pool Party complete with an abundance of food and drinks for you and your wedding guests to enjoy. 1) You can schedule your Welcome Party during any time of the day. There are no strict timelines to abide by and no special section you must have your party at. 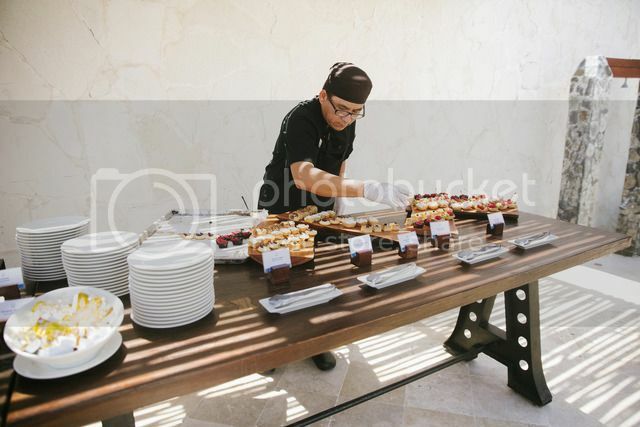 When it comes to renting the Villa Carola property, you decide when you want to host your event -- just let your private butler know and he/she will take care of things. 2) Your party can last as long as you please. Feeling like partying from the day into the night? No problem, since you're on the private compound, the entire property is yours to use as you please with no time limitations on pool/spa use. 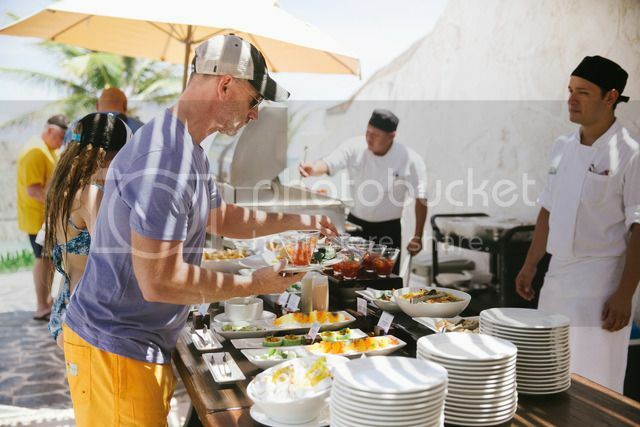 3) You can utilize the services of the private chef, bartender and staff to cater to your guests for the duration of the celebration to help make your gathering as stress-free as possible. Staying at Villa Carola means you have access to your own private staff. You will have the help of your assigned butler who can help plan and organize the party details with you along with taking note of any special requests you may have, a private chef who can create a scrumptious buffet style menu of grilled delights and tasty appetizers and desserts that you and your guests will love, a bartender who can keep the drinks flowing, and servers who will ensure that everyone is provided with the best services possible throughout the party. 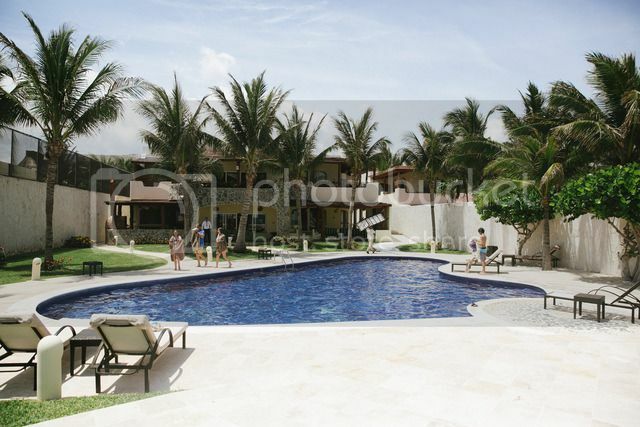 4) Your guests can enjoy the beach, the private pool and spa at their leisure. 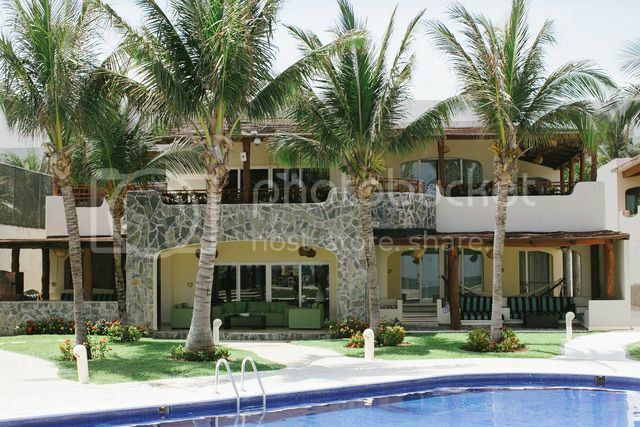 Villa Carola is perfectly located on a beautiful stretch of turquoise waters adjacent to the Azul Beach Hotel. The villa has its own private access to the beach along with private beach beds, and a huge pool and spa that can only be used by those staying at the villa. You will also have access to private outdoor showers and lounge chairs throughout the grounds. 5) Your guests can either dine along the tables near the ocean view or relax in one of the poolside lounge chairs or on a hammock. Although this is a party, your guests can either socialize, stay active or completely unwind. There are several spots to relax on the spacious Villa Carola property. Renting a private villa like Villa Carola is a way for you to enjoy a luxurious vacation experience but also extend the pampering to your guests as they enjoy the atmosphere and perks of villa vacationing during your hosted events! 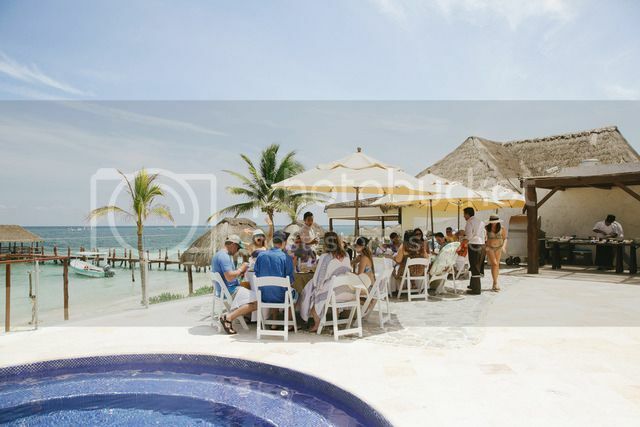 To find out more about staying at Villa Carola by Karisma Resorts in Riviera Maya, Mexico, contact one of the Best Destination Wedding travel agents who specialize in destination wedding and honeymoon travel. You can contact them HERE! omg!! such a beautiful pleace!